Mario Van Peebles Behind New Series ‘Superstition’ For Syfy!!! Syfy is getting a new series from partners Mario Van Peebles, through his new shingle MVPTV, and XLRator Media. 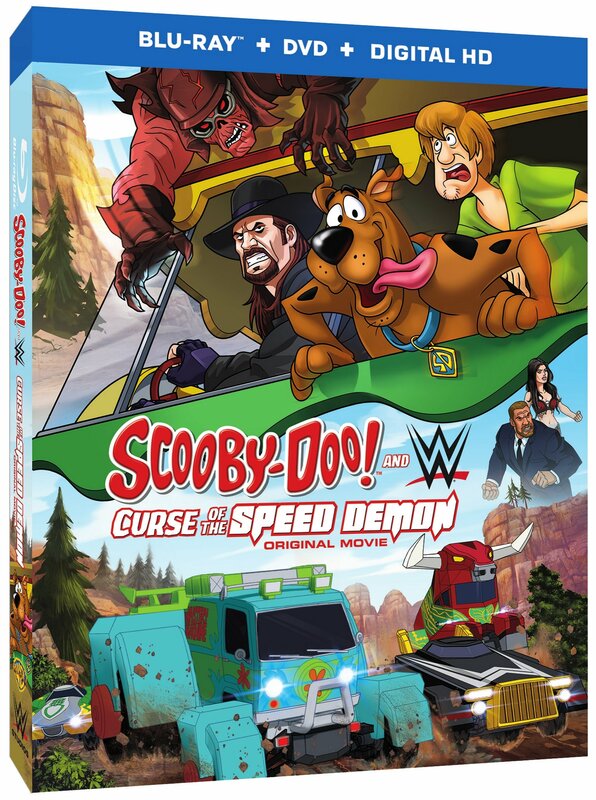 The 13-episode order is for a series titled ‘Superstition‘. As the name suggests it’s a supernatural drama, and it’s set near the one city in America that is more attached to the supernatural than any others, New Orleans. MVP is set to write, direct and star in a few of the episodes. Joel Anderson Thompson (‘Battlestar Galactica‘) is on tap to serve as showrunner. The series won’t air until sometime in 2017. What’s the first thing you think of when you hear Teenage Mutant Ninja Turtles? WWE right?! OK, maybe not right away, but from now on, I will not think of anything other than that. 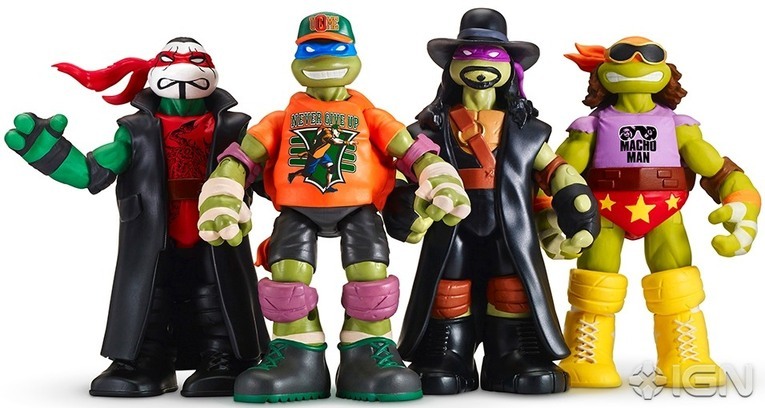 Nickelodeon’s Teenage Mutant Ninja Turtles and WWE have come together to create a one-of-a-kind action figure called Ninja Superstars!!! WWE Payback 2016: What to Expect! It’s that time of year again for the PPV after Wrestlemania, which is known as Payback. 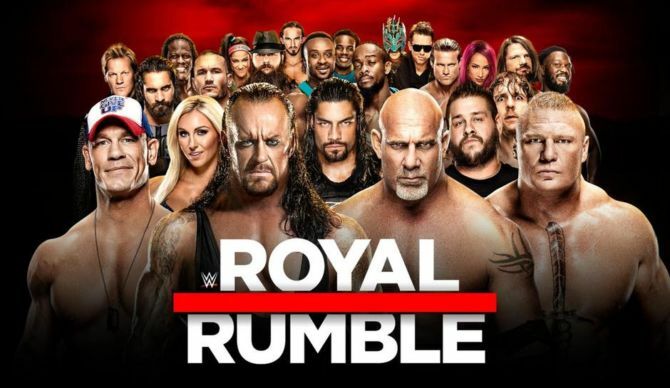 Normally, this is a rather lackluster PPV when compared to the rest of the WWE events throughout the year, and this particular one seems no different, despite a couple of matches. I do expect some good moments, but I don’t expect a ton of titles to change hands here, if any really. Not only that, but we still have a ton of WWE Superstars out, including John Cena, Seth Rollins, Neville, and Randy Orton. You can add to that list Undertaker, Brock Lesnar, and Triple H not showing up, as well as The New Day not having a match either, however the latter will most likely do some promos. In other words, this just doesn’t seem like an exciting PPV at the moment. I hope I’m wrong. Maybe, just maybe Shinsuke Nakamura will show up and wrestle for two hours. Then again, maybe they’ll bring back ‘Firefly‘. 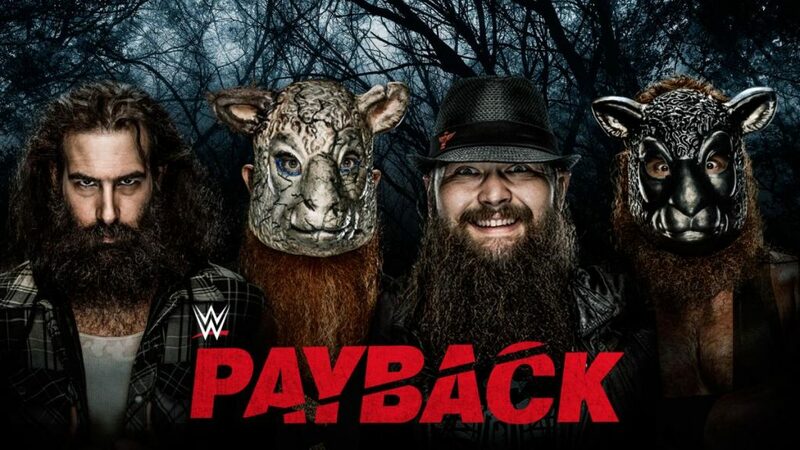 Side note: why is Bray Wyatt and the Wyatt family on the poster for Payback, but they don’t have a match? Ever have one of those moments where you know the world as you know it has changed forever? WWE‘s Monday Night RAW from Detroit, MI had just that moment! 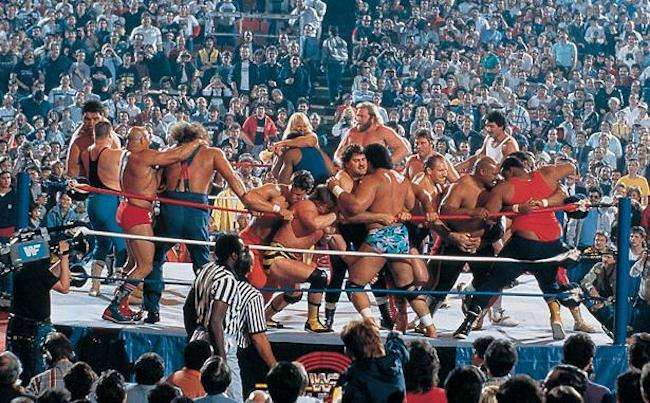 With Wrestlemania (which can be seen on the WWE Network) looming, the WWE Universe was faced with one of those moments. The night had its with the Beast Incarnate and Dean Ambrose meeting again, the Diva’s division heating up and the return many of us have been praying for, the return of SHANE MCMAHON! Did you miss Raw? (I’m so sorry for you if you did.) No worries, I got your back! TLC. Tender, loving, Care. That’s not the case when we’re talking about WWE by any stretch of the means. TLC in the WWE universe means Tables, ladders, chairs, all of which are used to take down each other in the ring. 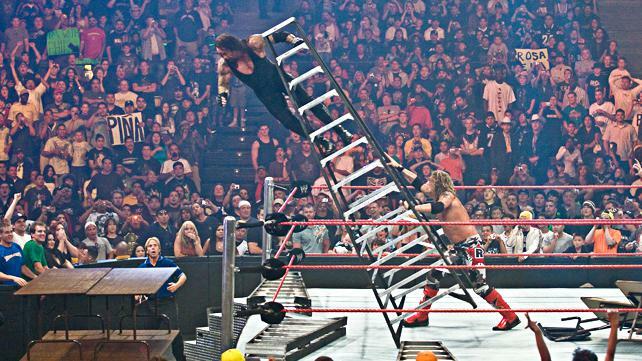 Some of the most memorable matches in WWE history have been TLC matches with WWE superstars sacrificing life and limb, falling 50 feet in the air into the hard concrete or a folding table, only to be hit by a steel chair or a steel ladder. TLC matches basically mean that there are no rules. All is “legal”, even the kitchen sink, title belt, and even a trombone in some cases. It would be an understatement to say that a lot has happened over the last week in the WWE universe. 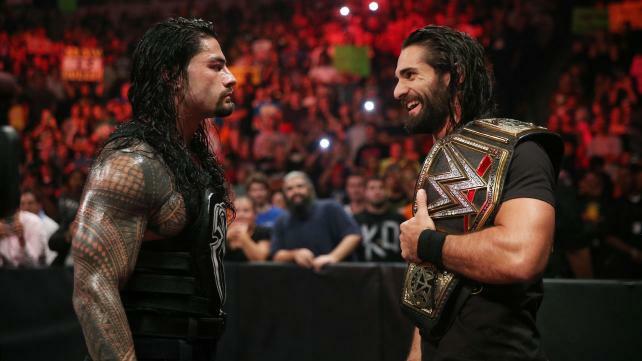 What was supposed to happen was that the current WWE heavyweight champion Seth Rollins was going to defend the championship belt at the upcoming PPV ‘Survivor Series‘ against his former Shield partner Roman Reigns. Meanwhile, Brock Lesnar, Undertaker, John Cena, and Randy Orton are out either on vacation or injured, which is a lot of top tier talent for the WWE. 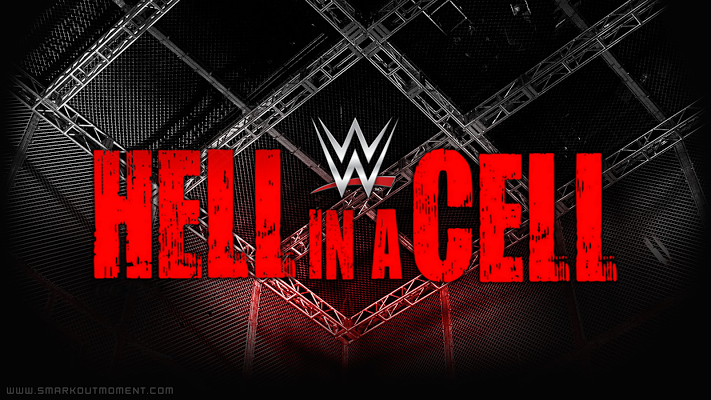 With Hell in a Cell just 24 hours in the past (which can be viewed on the WWE Network), WWE took over San Diego,CA with Monday Night Raw! The fall out of the previous evening had the WWE Universe a buzz with anticipation. Would we get an answer on why Bray Wyatt did what he did? How would the return of Alberto Del Rio effect the United States Title picture as the new champion? And most importantly, what is next for the Demon Slayer, Seth Rollins, now that he has once again, made good on his word and liberated the WWE of the power abusing Director of Operations? All the questions were answered and now we have a #1 contender for the WWE World Heavyweight Championship. Did you miss Raw? Find out what happened now!